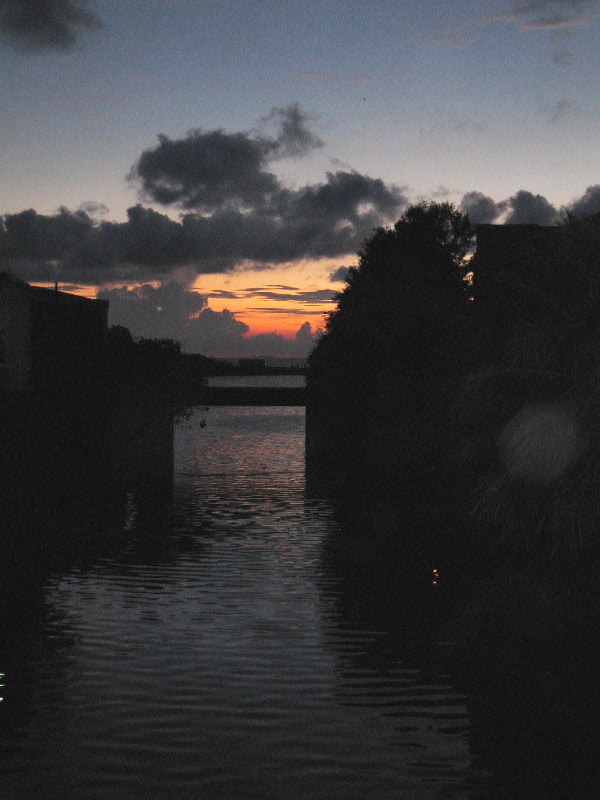 …And a downtown sunset as seen from one of the canals leading out to the ocean. This city has most of the elements necessary for true beauty: coastline, water in the city proper (Lake Beira occupies a big chunk of downtown, but they just don’t do very much with it; and there are little canals in many neighborhoods that sadly look more like sewers than like the goldfish-filled canals of Lijiang [cf So Much World, So Little Time January 2006 edition], tropical climate that creates much lush growth … but it just doesn’t any of it hang together. 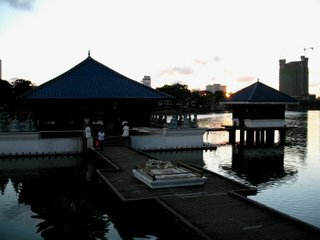 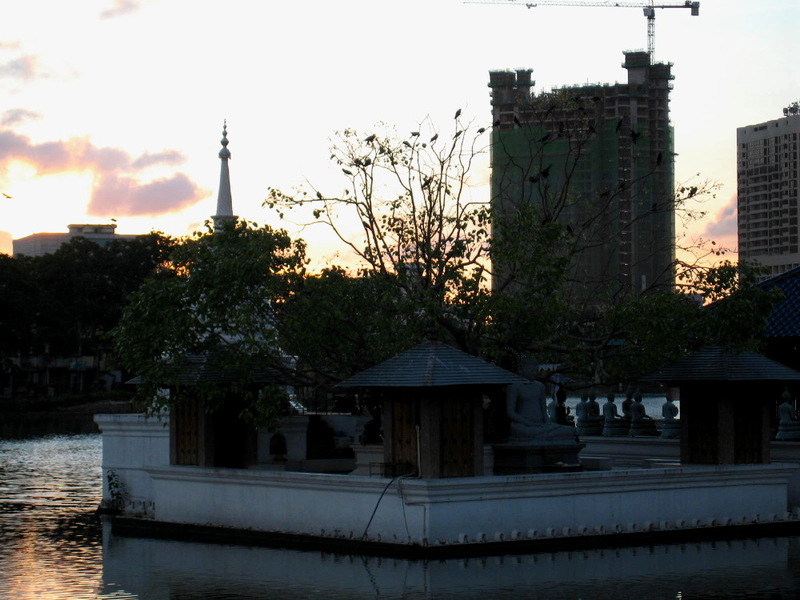 Colombo, I know you, I’ve worked in you, I’ve found lovely spots in you … but Colombo, you’re no San Francisco.